Spaceforce Captains is the latest science fiction turn based strategy game set among the stars with a wide cast of characters, including bizarre and strange aliens plus a variety of starships as gamers attempt to claim their sector of space. This premise is taken from Spaceforce: Rogue Universe and works on this original idea with three different campaigns for players to choose which include humans the warrior like Ord and the reptilian Alreani factions. Find your resources in asteroid mines and use them to build up your captains and their fleets. 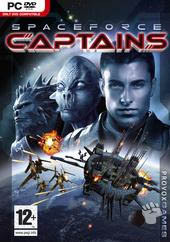 There are more than 120 individual captains with unique available. So what exactly is Spaceforce: Captains? It's your traditional turn based strategy and for those who have played Heroes of Might & Magic with this turn-based RPG game, Spaceforce: Captains follows a similar method to the gameplay. 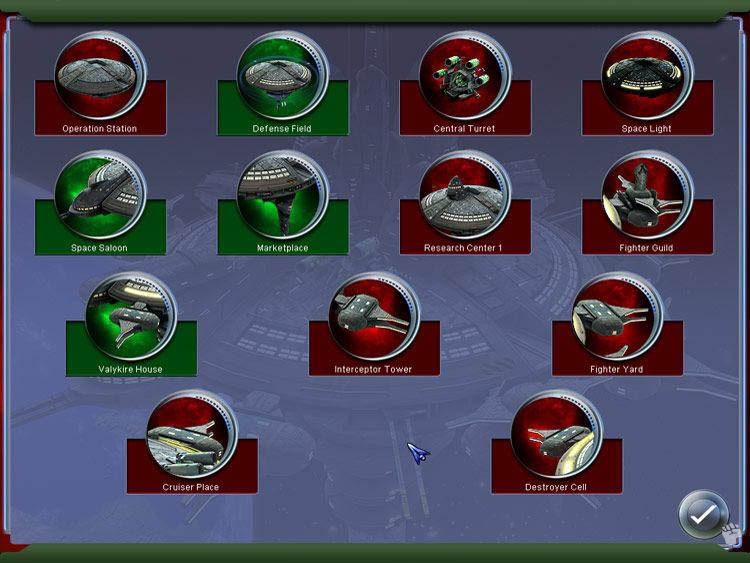 The main window that you will use in Spaceforce: Captains is the star map view (once again similar to Heroes of Might & Magic) which allows the player to move their fleets into different sectors of the galaxy. Each of your fleets also has a variety of different specialist captains which include scientists, explorers and even pirates for those willing to challenge the authority of other races. Gamers must also create space stations which allow you to create units and research new technology in order to make your fleet a formidable foe. 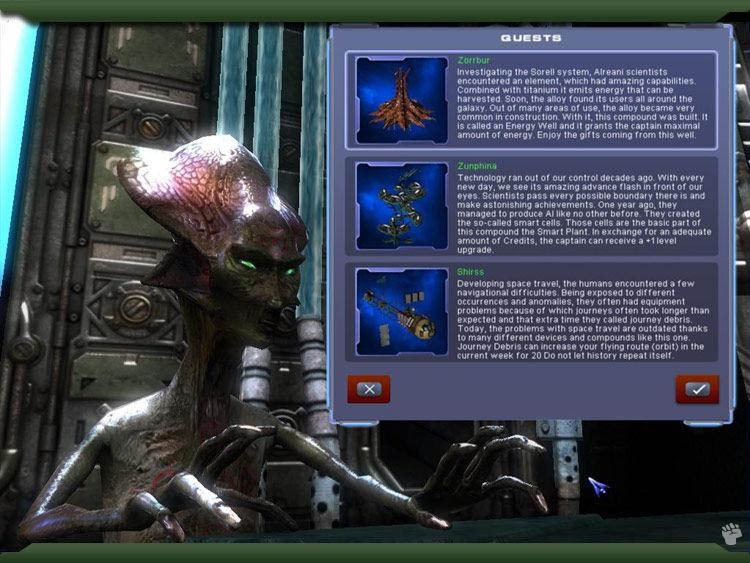 The resources in Spaceforce: Captains is credits which are used to purchase, upgrade and research with nano-bots used to power your ships, weapons and technology. This assists in keeping the title fair for all gamers involved and does make for some challenging gameplay. The artificial intelligence of Spaceforce: Captains is quite forceful as they send fleet after fleet in attempting to destroy your units. However if you setup your resources early on in the game, you should have no issues in ensuring that your defenses have been well researched and in place. As with other games of a similar genre, Spaceforce: Captains is a resource creation game and those with the most units at the end of the day should easily clear their way to victory. 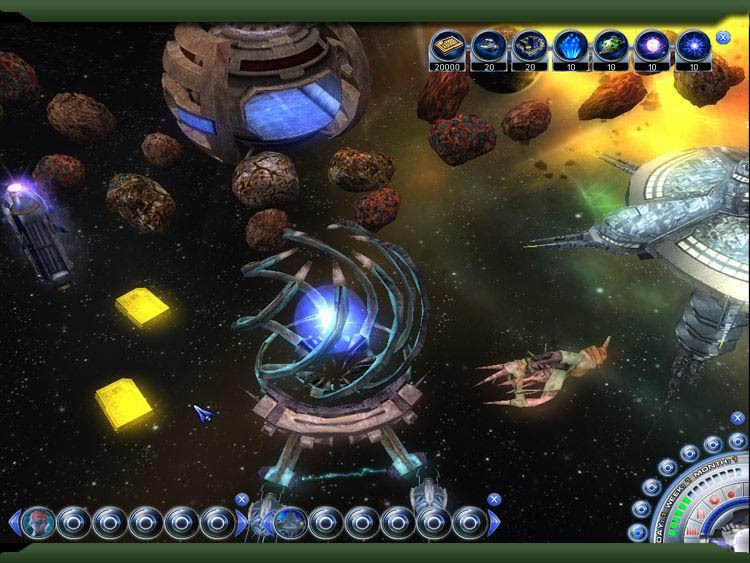 Graphically, Spaceforce: Captains is a little dated when compared to other similar titles of the genre such as Civilization and other turn based games. Although the maps are quite detailed, they are a little lackluster as are the unit designs. However the game does have a futuristic feel to it which does help immersing the player into the title. There are some special effects in the title which work well with the 3D isometric view such as the sights that you may encounter in deep space. In conclusion, Spaceforce Captains is a little dated in the world of turn based games on the PC but for those that enjoy the science fiction genre, will definitely get some enjoyment from the title. The title has an interesting storyline and some great features as you attempt to take over the galaxy and eliminate your foes.